What lessons can we learn from understanding how scholarly content is accessed and consumed by connected, mobile practitioners? A closer look at the medical publishing sector reveals insights into how we can learn from users to best navigate change, stay relevant, and anticipate the future of the journal. 1:15 Is a Rational Discussion of Open Access Possible? 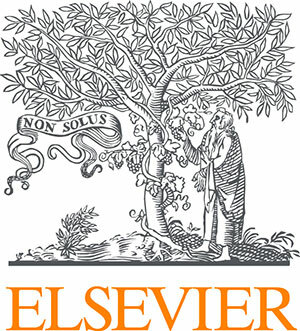 Like any other system of dissemination, Open Access (in its various forms) carries with it both benefits and costs. The OA advocacy community is very receptive to discussion of its benefits, but tends to respond negatively—even aggressively—to any attempt to address its costs and downsides. This tendency makes rational discussion of OA unnecessarily difficult. This presentation will attempt to demonstrate the scope of this problem and propose some strategies for mitigating it. Over the past decade, the number of early stage researchers, and in particular post-doctoral fellows, has exploded. Fueled by what many academics consider to be an over-production of PhDs, and ever-scarcer funding to support full-time faculty positions, the number of postdocs in the US alone is thought to be as high as 90,000. Surprisingly, little research on the numbers of postdocs worldwide exist, but it is believed that over 50% of US postdocs are foreign citizens and that only 15% ascend to faculty positions within 6 years of being awarded a PhD. As in many industries, researchers remain in early career stage for longer. There has emerged a globally competitive market place, with greater requirements for advancement to mid-career than ever before.During this session, a range of topics of importance to early career researchers will be discussed, including the effect of open access mandates on postdocs’ ability to compete internationally for faculty posts. Our international panel will discuss the challenges they face and how new technologies and services from publishers can help them meet the new challenges of developing a career in research in the 21st century.